In this chapter, the authors describe a clinical case formulation, identify approaches to case formulations, including cultural considerations and a Five P’s approach, and finally describe applications therein when evaluating preschool age children. 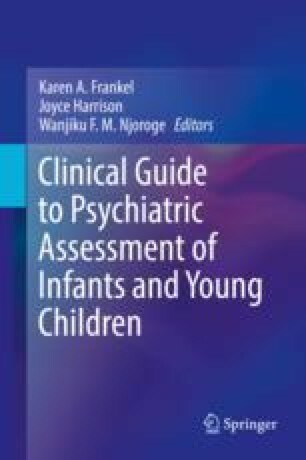 In particular, this chapter highlights the importance of constructing a joint case formulation and techniques which can be utilized, such as the “soft start up,” to invite the caregivers into the process of creating a joint understanding of the nature of child’s difficulties. Caregiver resistance, defensiveness, grief and/or denial as well as provider countertransference are identified as crucial elements to achieving consensus and caregiver “buy-in.” Approaches to creating a joint treatment plan with the child’s caregivers are discussed, including a SMART goals approach, and a comprehensive list of current, evidence-based interventions is reviewed. Finally, a case example is presented and formulated to demonstrate the key concepts discussed in the chapter.